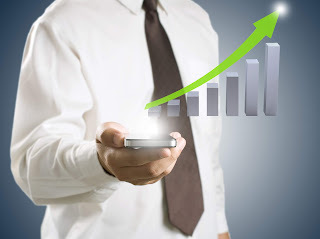 There are many benefits to sales force tracking, from increased rep accountability to more informative reporting, but many businesses are discovering that something as simple as an app on the rep's smartphones can greatly improve their bottom lines. The reasons for that is that sales force tracking apps work on both sides of the bottom line: While helping increase revenues, they also are also powerful allies in reducing costs. Sales force tracking apps help increase revenues by allowing reps to squeeze in more customer calls every day since they are able to optimize their routes and save in travel time. Also, they improve management oversight, therefore, as already mentioned, increasing rep accountability and compliance. On the other hand, the same route optimization capabilities of sales force tracking apps help in reducing costs by calculating the shortest customer route in any given day. Less obvious savings come from the increased engagement between management and reps, resulting in better training, mentoring, and consequently reduced turnover rates. VisitEye is an easy-to-implement sales force tracking system that offers all the benefits listed above. The VisitEye mobile app is available as a free download both for Apple and Android devices, allowing reps to use their own smartphones or tablets. Try VisitEye for free and see its impact on your bottom line by signing up at www.visiteye.com.